This weekend begins the track season for the men and women with the first indoor meet. The outdoor season will culminate with the US Olympic Track and Field Trials. Assistant Coach Ed Moran '03 in the 5 and 10K and Sean Graham '03 in the 5K have already run automatic qualifiers for the trials. In the 10K both head Cross Country Coach Kathy Newberry '00 and 2007 graduate Keith Bechtol are provisional qualifiers. Additionally Cheryl Bauer and Megan Holden have qualified for the women's marathon trials which will be held in Boston in April. 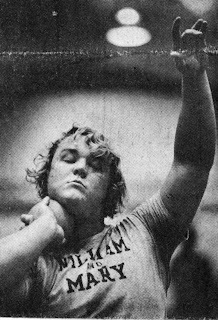 George, who has been a Fairfax County, VA teacher and coach for over two decades, talks about his still standing 1976 indoor shotput school record of 57-7. 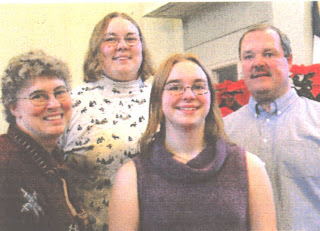 The pictures above are of Drexell in his throwing days and with his family today. Click here for the blog post. If you missed Sean Anastasia-Murphy's audiocast of the NCAA race, you can hear it here. You can also see the entire race here. 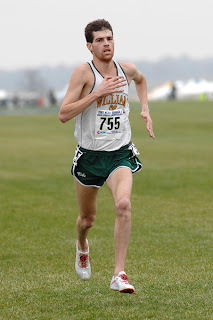 Finally redshirt frosh Patterson Wilhelm participated in his NCAA race and writes about it here. 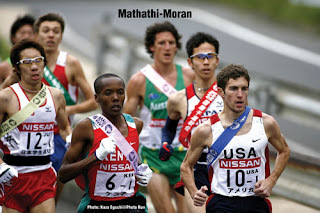 Assistant Coach Ed Moran '03 ran 13:33 in the opening leg of the this year's Ekiden Relay in Chiba, Japan. Moran handed off the sash in 3rd, but the USA team eventually fell to 4th overall. More and Video. 4:30(-1.18). See the entire race. My video is coming soon, but if you missed the telecast, this is a good start. Thanks to Timo O'Dowd '80 for the finish line shots of the NCAA meet. William and Mary senior Christo Landry earned the third All-American honor of his career equaling Matt Lane as the only other three time XC All-America by placing 13th overall in a field of more than 250 runners. Liberty’s Josh McDougal won his first NCAA title by mere feet over Oregon’s Galen Rupp. In the team race, Rupp’s Ducks claimed the championship for the first time since 1977, with a score of 85-113 over Iona. As a team, William and Mary placed 15th with 432 points, the 11th top-15 showing in school history. More on W&M More on the overeall race Video interviews with the top runners. 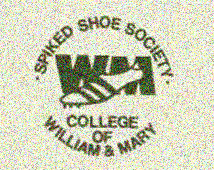 Check back here Tuesday afternoon for pictures and video from the W&M team. Showing their incredible strength, the men's "B" team, led by Charlie Swartz in 10th and Drew Midland in 17th, finished 3rd at the IC4A race in the Bronx while the women led by a 4th place finish from Emily Anderson and 11th from Erin Prillaman completed the day in 2nd place overall in the ECAC Championships. Watch and Listen to the NCAA XC Race LIVE! On Monday the 19th at high noon, click here to hear a live audiocast featuring Sean Anastasia-Murphy who is an assistant coach and was on the team that finished 8th last year. 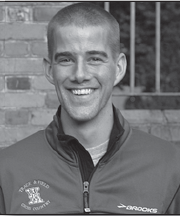 Sean will be giving mile by mile updates, insights about each runner and interviews immediately after the race. You will need Quick Time and can, if necessary, download it free from the link above. If you miss the audiocast, then you can come back on Tuesday and listen to the archived broadcast. You can also watch (for free) the frontrunners live by clicking here. If it's possible, perhaps you could watch the video stream and listen to Sean's commentary. In the days after the race, we will also have some of our own video and interviews. First off click here for an interview with fifth year men's coach Alex Gibby who talks about the team's chances and how he prepares the team to do well at the NCAA meet. Secondly we have a blog from sophomore Ben Massam who will be participating in his first NCAA meet. Click here for that. Going into the NCAA meet, the men are ranked 21st in the nation. Interesting enough, NC State is 10th despite beating the Tribe by only 5 points at the regional meet. Can the team equal their 8th place race of 2006? Coming in the next week will be a podcast with Coach Gibby, two blogs by members of the NCAA team, our audiocast on Monday as well as video and pictures of the meet. If you can make it to the meet, here are directions, course map, etc. Stay tuned. Click here for the complete list of teams, including our own men's team, for next Monday's championship race. More info. Men's Team Qualifies for NCAA Meet for 11th Straight Year! The men's xc team led by Christo Landry and Ian Fitzgerald finished 3rd and the women following Emily Anderson came in 10th in the Southeast Region. All three runners as well as Ben Massam and Patterson Wilhelm earned All-Southeast Honors. Check back later in the week for a podcast with Alex Gibby and instructions for how to hear the NCAA meet LIVE on November 19th at 10:50 am. 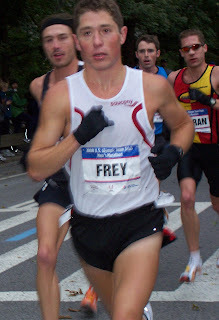 Jacob Frey '04 talks about his 22nd place at the Olympic Trials, Ryan Hall's victory and the death of his friend and Saucony teammate, Ryan Shay. Click here to listen. Senior James Picard took third at the Cavalier Open leading five teammates at the individuals-only meet in a warm-up for next week’s region championship. 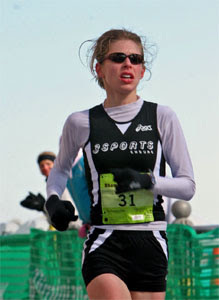 For the women junior Emily Schroeder led the team finishing second in 18:36.68. Come back Monday for an interview with Jacob. Two time All-American Christo Landry talks about the 2007 season, his personal and team hopes for the rest of the season. Click here to hear.